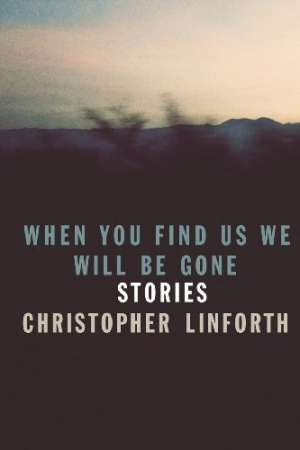 The sting of Christopher Linforth’s stories lingers long after the final page. Complex and disturbing, they follow ordinary people caught up in worlds not of their own making, knowing that somewhere (and it’s always somewhere else) there is a better life—a more worthy partner, a brighter future—if only they could get there. Linforth holds an MFA from Virginia Tech and has been a fellow at the Virginia Center for the Creative Arts and an associate artist at the Atlantic Center for the Arts. He has published fiction in several prominent literary magazines. This powerful debut collection delivers, among other equally poignant tales, a cross-cultural, somewhat touchy, and probably doomed relationship in post-communist Croatia; “cowboys” on a mission to eliminate radioactive cows wandering the outskirts of Fukushima; a young boy who holds the secret of how he lured a predator to his death; a young Jewish girl in a concentration camp who experiences moments of beauty and light when she serves as a model for the camp commander’s painting; and a writer whose identity breakdown leads to his wandering in a no-man’s-land where he can no longer tell his own life from that of his character. The universal failure of the promise of youth and the unsettling discovery that what is hoped for is really nothing more than a mirage are themes that Linforth handles with intelligence and compassion, bringing his stories uncomfortably close to home.